Artist Deborah DeWit makes it easy to slow down and appreciate the beauty all around. Whether of a humble flower in a simple vase, or a view into a forest, her expressive photographs celebrate the beauty of the everyday. 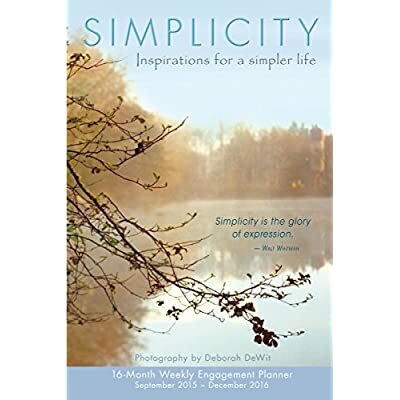 DeWits charming photos are paired with quotes on living simply; offering the viewer a chance to pause and reflect any time during a busy day.